Electronic safety systems in terms of technology and quality in the industry for over 30 years as a leading enterprise with the goal the accumulation term; will provide the highest benefit to our customers the best products and services to offer as a solution partner and continuous customer satisfaction. Competence of our employees to satisfy increased, continuous development and we support learning with teamwork. ISO 9001:2015 quality management system continuous improvement and development at each point the appropriate running and we have adopted as a basic philosophy.Always in line with this understanding, we use national and international standards. All systems established; 7-day/24-hour uninterrupted service is based on customer satisfaction by providing continuity of evaluations. All of our employees set goals, in accordance with the legislation, by promoting the coordinated work of all volumes, customer needs and expectations is the main policy of our company better meet. The world's most advanced electronics manufacturing technologies with the Turkish Engineering not only as a leader in the industry, becoming a technology company involved in both AR-GE and UR-GE the work of expert engineering staff continuous is ongoing. The first fruit of this intense study date, Turkey's first CPD and CPR certified fire alarm panel is made of the FCE2000. It's unlimited network access, touch-screen repetition panels, graphic monitoring software, remote access and management software, inbuild modbus port with direct integration, standard module family, according to data tracking module, analog world gas alarm system, addressable gas alarm system and integrated systems, such as technological steps. But most importantly, has developed its own technology with ADEVA, all, for the first time in the world that can take a 10 km loop line loop card driver is the literature of the world on this issue by making himself an enviable. 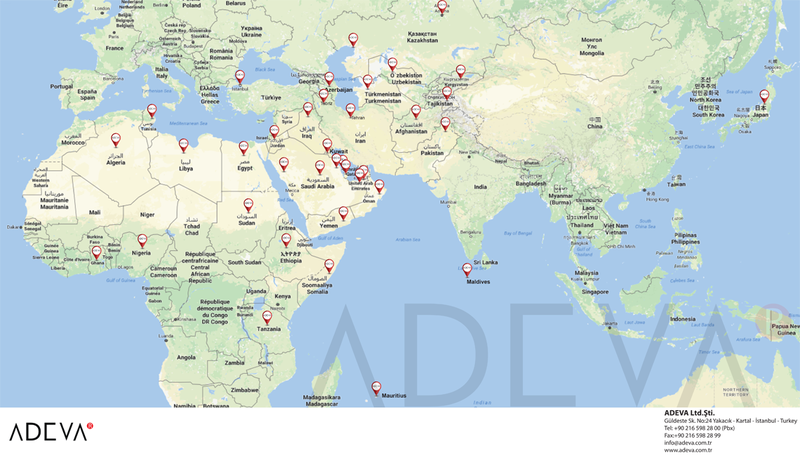 ADEVA currently 45 country ADEVA branded products, exported, many international institutions and taking place in the list of the Organization's brand, is a proud occasion for our country. We in this way national and international partners is our biggest supporters.